Sitting on the edge of both summer and fall, September’s end is such a lovely time of year. The greens are greener, the light is golden, and a crisp undercurrent spikes the air. Married the very first weekend it was officially fall, Meghan and Tim’s classic, upstate NY wedding highlighted all that good stuff with a lovely outdoor ceremony, deep emerald bridesmaid dresses, blushing florals, and warm, rustic décor. Shining like stars amongst it all were our over-the-moon bride and groom, whose brilliant smiles said it all! 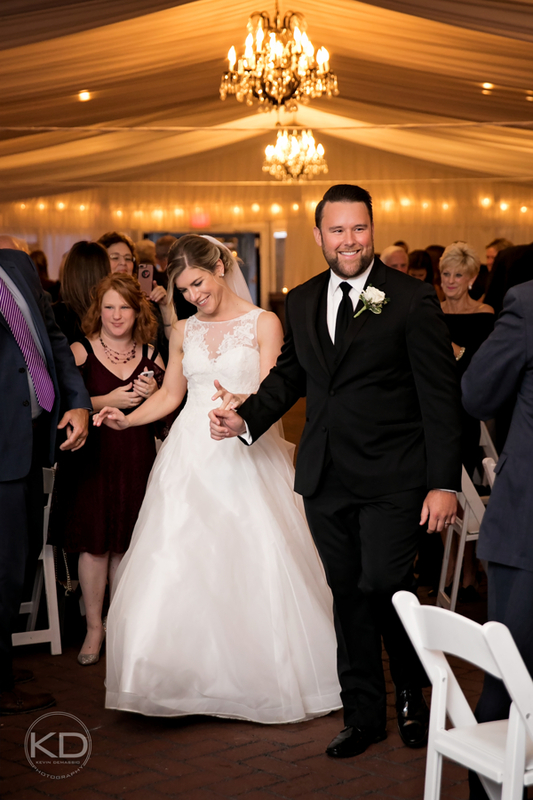 When choosing a wedding dress, Meghan knew exactly the vibe she wanted—and found it in our Violet gown! Get the scoop on her dress search, how Tim proposed, and some great wedding planning advice from our bride below.